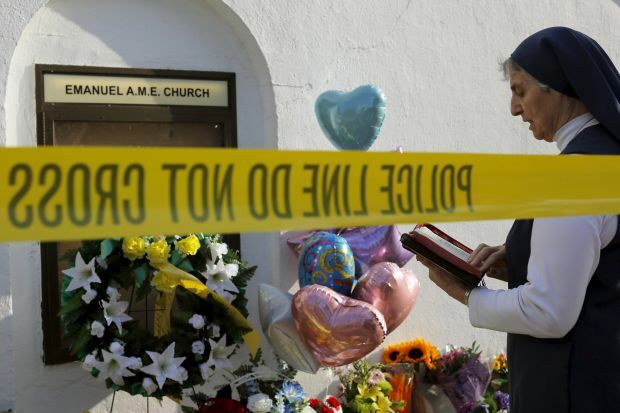 UPDATED – WASHINGTON (CNS) — The tragic taking of nine lives at a historically black church in downtown Charleston, South Carolina, brought an outpouring of solidarity, compassion and sorrow from around the country. After an all-night search, police June 18 found the white man suspected of fatally shooting nine people, including the Rev. Clementa Pinckney, a senior pastor. They arrested 21-year-old Dylann Storm Roof in neighboring North Carolina and charged him with the murders. He did not fight extradition so he was returned to South Carolina. Witnesses said Roof had joined a prayer meeting the evening of June 17 at Emanuel African Methodist Episcopal Church in Charleston. They said he sat with church members for about an hour then stood up, yelling racist remarks, and opened fire. Religious leaders as well as government leaders issued their condolences and condemned the shooting, which is being investigated as a hate crime. Catholic Bishop Robert E. Guglielmone of Charleston expressed a deep sadness over the tragedy. A number of Jewish groups issued strong statements on the crime that took place in Charleston. Numerous government officials weighed in on the shooting, with some citing an attachment to Emanuel African Methodist Episcopal Church. 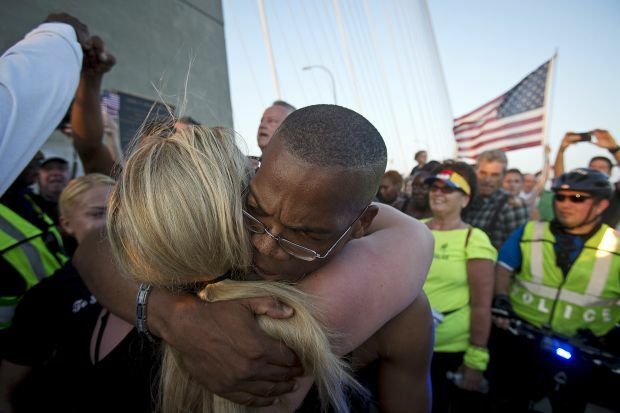 Closely impacted by the tragedy was Charleston Mayor Joseph Riley. A number of Catholic bishops across the country issued statements, including Archbishop Joseph E. Kurtz of Louisville, Kentucky, who is president of the U.S. Conference of Catholic Bishops. Vice President Joe Biden and his wife, Jill, in a joint statement recalled meeting Rev. Pinckney, who also was a state senator. President Barack Obama in a separate statement said that he and first lady Michelle Obama know several members from Mother Emanuel church, including the pastor. “There is something particularly heartbreaking about the death happening in a place in which we seek solace and we seek peace, in a place of worship,” he said. He said the kind of shootings that took place at the Charleston church don’t happen as often in other advanced countries and blamed the politics of gun control for keeping the U.S. from addressing the issue, but said such the country has to come to terms with such incidents. 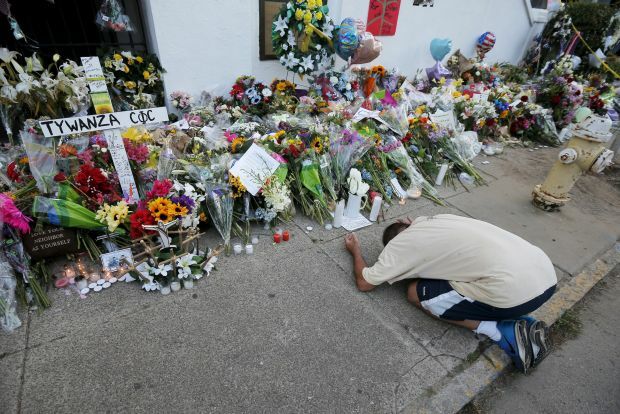 WASHINGTON (CNS) — The tragic taking of nine lives at a historically black church in downtown Charleston, South Carolina, brought an outpouring of solidarity, compassion and sorrow from around the country.